The small Winchester corner seat, with its gentle curves and luxurious cushions is a beautiful place to spend time. 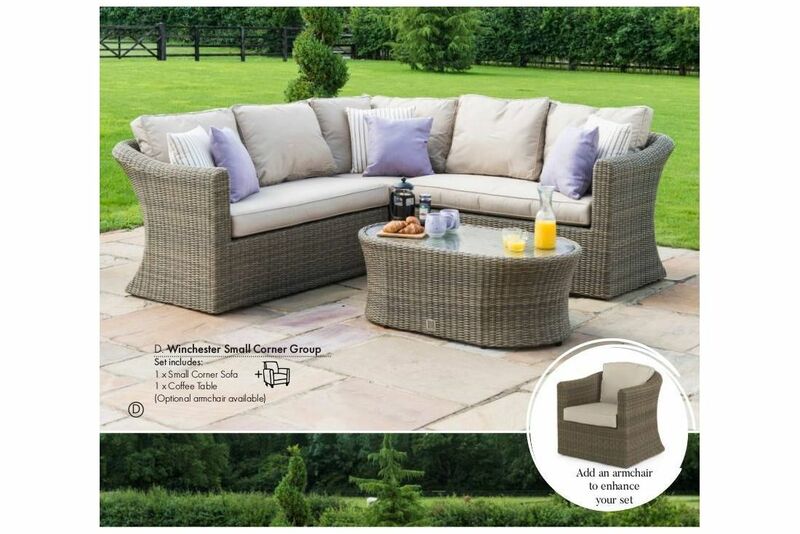 With adjustable sections that allow you to configure the set in which ever way makes the most of your space, and finished with our traditional oval coffee table, this set is a wonderful addition to any home. The Winchester weave is our most traditional style, This classic look is achieved by using a natural-coloured round weave, creating the impression of wicker. The result is a finish that has a deep texture, with rounded corners for a more comfortable experience. This natural tone compliments the accompanying beige cushions perfectly. All our cushions come with removable, washable covers.